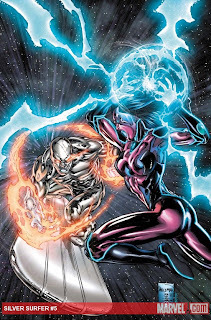 The House of Ideas first offering of true love to yours truly comes in the form of a bow-ribbon wrapped copy of Silver Surfer #5, a comic which itself should contain the conclusion of a story about love and humanity. This series by Greg Pak really did surprise me as I had half expected to pick up the first issue, decide that it wasn’t going to be a Silver Surfer story that I was interested in and promptly drop it from the pull-list. That, I am very pleased to say, is a situation that never happened as this story of the Surfer’s transformation back to Norrin Radd at the hands of the High Evolutionary has completely grabbed me and refused to let go. Norrin’s continuing analysis and narration as he adapts to his renewed Zenn-Lavian form (c’mon, he may be pink but he’s not human!) has given a great insight into how the man beneath the silver sheen of the power cosmic thinks and the developing relationship and attraction to Suzie Endo has been brilliantly written by Pak. The art by Harvey Talibao, inking by Sandu Florea and importantly colouring by Wil Quintana - who had previously coloured many of my favourite Cosmic titles from War of Kings to The Thanos Imperative - have really meant that this has been a series of high quality and I really am beside myself at the thought of reading the finale that this group of talented creators has put together. Since I was gushing over great writer and artist team ups and because we have that cover being thrown at us today - it is just an epic, EPIC cover from Olivier Coipel - I will of course have to talk about Matt Fraction’s Mighty Thor #3 next. It’s actually a little crazy to be talking of only the third issue in the run as it feels to me that there has been far more happening than could be contained in just two issues to date. Being the skeptical fellow that I am, I was initially wary of the news that Fraction was going to be removing the visiting gods from their Broxton home and replanting them back in Asgard as I enjoyed the interaction that came from the everyday folk of Midgard coming to terms with their all-powerful, yet inquisitive neighbours. It seems that unlike the jarring, quickfire decision to return home made by Odin within the pages of Fear Itself, we’re getting to see the events that may have led up to that point as the wily old Allfather makes plans now that he is in possession of the World Seed. Adding the Devourer of Worlds and his silver herald into the mix should make this week’s issue simply unmissable. 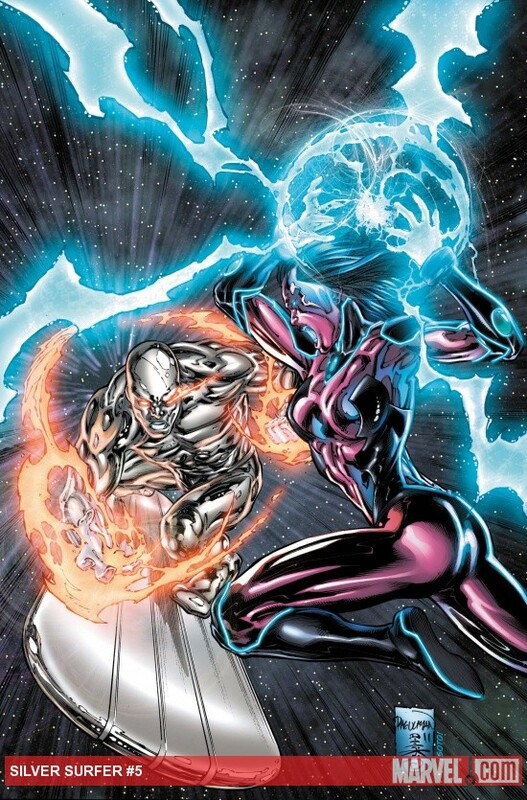 With continued news of relaunches and reboots - even Marvel have jumped onto the bandwagon with Uncanny splitting and relaunching in October - it seems to have gone a little unnoticed, or perhaps ignored, that we appear to be on the verge of seeing one Captain America move aside so that another may once again don the stars and stripes and that mighty vibranium shield. Brubaker has been plugging away at the 'Gulag' arc, covering the ground from three different angles as Bucky tries to survive his Russian imprisonment, Sharon Carter and the Black Widow attempt to unearth the true motives behind Bucky’s extradition to the former soviet state in Natasha’s backyard, while Steve Rogers does some digging on the US side. It seems quite clear that Steve Rogers will be Captain America again soon - a big summer blockbuster will tend to do that to a character - but it's thankfully still something of a mystery just how Brubaker envisages this role reversal unfolding and Captain America #619 should enlighten us somewhat. I’ve fingers crossed that we won’t be seeing Bucky reverting back to his Winter Soldier ways but with these comic-book types you never can tell. 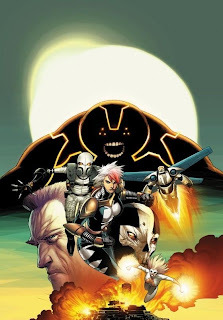 While it appears that we at the Paradox Comics Group haven’t been pouring on the praise for Jeff Parker’s Thunderbolts as much as we used to I will say that I’ve found no drop in quality from him or artists Kev Walker and Declan Shavley in recent months. For some reason, Marvel see this as an ongoing title that they can regularly ‘play’ with and so for the second time in the space of a year we get a bumper $4.99 issue with Thunderbolts #159. 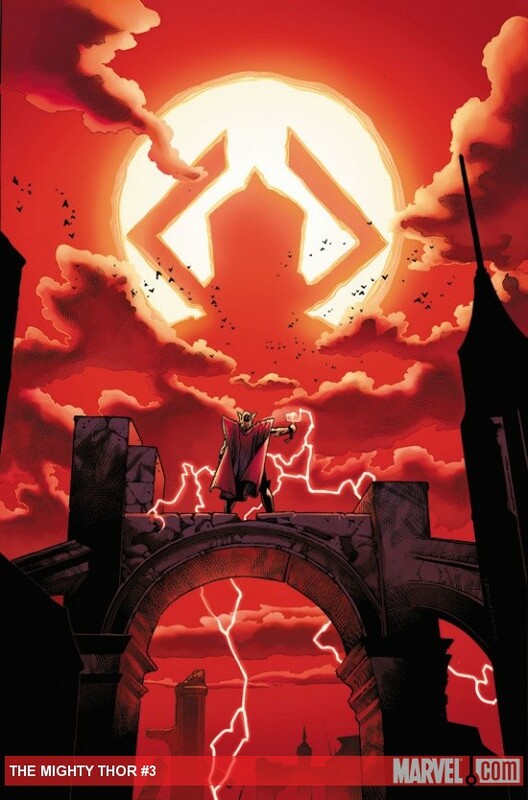 For the extra couple of dollars we are going to be given a varied and expansive look at the destruction caused by Cain Marko’s transformation into one of the Serpent’s Worthy and the surviving Thunderbolt’s efforts to prevent some of the most dangerous criminals and villains in the Marvel book escaping into the wider world. The names Matthew Southworth and particularly Eric Canete - a personal favourite artist of mine - certainly piqued my interest and the previous bumper Thunderbolts issues have been worth the extra pennies. Juggernaut’s transformation and unfortunate fall to a darker path - anyone else a bit sad since he was ‘doing so well’ in the team? - looks to be one of the bigger plot points for this event as it will effect this book and ultimately Uncanny X-Men later in the summer and I’m interested to see whether this feels like something Jeff Parker was happy to write into his title or whether it comes across like his hand was forced from those above him. So let me round out this week’s Incoming... offering by looking at the fifth and final comic that I shall be shelling out my cash for this week. Secret Avengers #14 is yet another Fear Itself tie-in as Nick Spencer continues his short writing stint on the title - to see who’ll be picking up the reigns in a couple of months check out the recent Ten Forward - and this month his focus falls upon the team’s very own mystical Norse member, Valkyrie, as she has to decide on which side of this war of fear her loyalties lie. I rather enjoyed Spencer’s last Washington D.C. based story despite the rather ludicrous reasons for the capital never being given it’s own 50 State Initiative Team, and I have a suspicion that this Valkyrie story could take an interesting look at one of the lesser known Secret Avengers and offer up a new perspective of this hard-as-nails lady and why Steve Rogers picked her for the team!